Higher speed synchronous motors can drive hydroelectric turbines, injection process compressors, gas liquefaction machinery. However, above a certain size, synchronous motors are not self-starting. 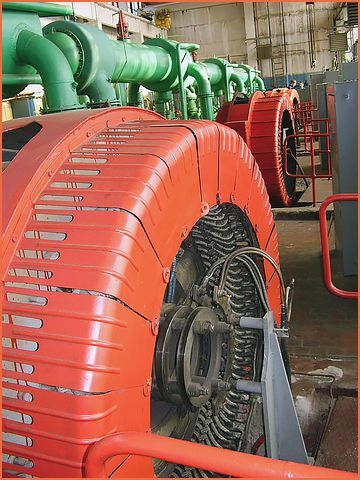 This is due to the inertia of the larger rotor; it cannot instantly follow the rotation of the magnetic field so it cannot accelerate to a synchronous speed without some supplemental mechanism such as a “pony motor,” which can accelerate a synchronous machine before the load is applied. In other applications, an amortisseur or “squirrel-cage” induction winding provides sufficient torque for acceleration and serve to dampen oscillations in motor speed. Once the rotor nears synchronous speed, the field winding is then excited, and the motor pulls into sync.